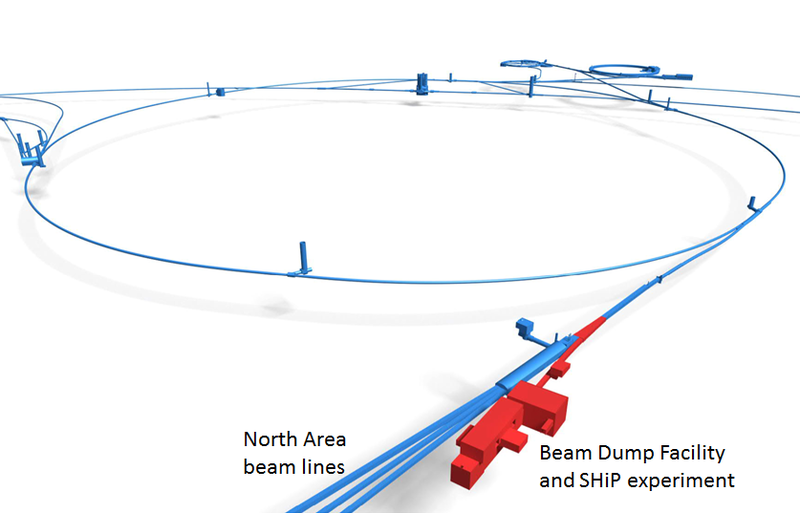 SHiP is a new general-purpose experiment to be installed in a beam dump facility at the SPS to search for hidden particles as predicted by a very large number of recently elaborated models of Hidden Sectors which are capable of accommodating dark matter, neutrino oscillations, and the origin of the full baryon asymmetry in the Universe. Specifically, the experiment is aimed at searching for very weakly interacting long lived particles including Heavy Neutral Leptons - right-handed partners of the active neutrinos, vector, scalar, axion portals to the Hidden Sector, and light supersymmetric particles - sgoldstinos, etc.The high intensity of the SPS and in particular the large production of charm mesons and photons with the 400 GeV beam allow accessing a wide variety of light long-lived exotic particles of such models and of SUSY. The detector incorporates two complementary apparatuses which are capable of searching for hidden particles through both visible decays and through scattering signatures from recoil of electrons or nuclei. Moreover, the facility is ideally suited to study the interactions of tau neutrinos. SHiP is currently a collaboration of 54 institutes from 18 countries. Groups interested in joining should contact Andrey Golutvin and Eric van Herwijnen.